Following lengthy discussions with my PR company, they have agreed to give AZZY another two months of promotion, free of charge. I’m not at all convinced that this is going to make much difference to my disappointing sales, but I guess it’s better than nothing. At the time of writing, there hasn’t been any new PR activity, so I’ll have to wait and see…. In the meantime, one of the book review websites that the PR people contacted back in early December has now read my book and they have advised that they will be doing a feature on it. I was asked to send some bio and other stuff to them, and also answered a Q &A, so it looks like something will be happening soon. I’ll pass on the link when the review is published. Since my last blog, it’s been another two weeks, and another couple of dollars – as they say. For the time being, I will publish a new blog every two weeks, rather than weekly. This is assuming that the contract writing work doesn’t suddenly dry up in which case I will have more time on my hands. I have found a really great client and he is giving me plenty of work. What’s more, he pays promptly. What more could I ask? The rates are still quite low, but at least he has let me increase my fees cover the 15% agency charge, which I am very pleased about. I’m not yet making enough to cover my living expenses, but I am hoping that my income will slowly increase as I am able to turn around the work quicker, and also find some better-paid work. I no longer find this freelance writing quite daunting and mind-numbing as I did at the outset a couple of months ago. While it’s never going to be much fun, once I get stuck into a job, it’s not too bad. But I would much rather be writing my book…. So…..I’ve been having a bit of a re-think. In spite of the time I now have to devote to earning a living, I have decided to try and make a start on my next novel – as and when – time permits. This is mainly in the early evening after I have finished my freelance writing ‘work’ for the day. It’s not an ideal situation. By late afternoon, I’m usually feeling a mentally ‘spent’, but it’s better than nothing. What’s more, the fact that I can earn some money and also do a bit of creative writing has cheered me up no end. 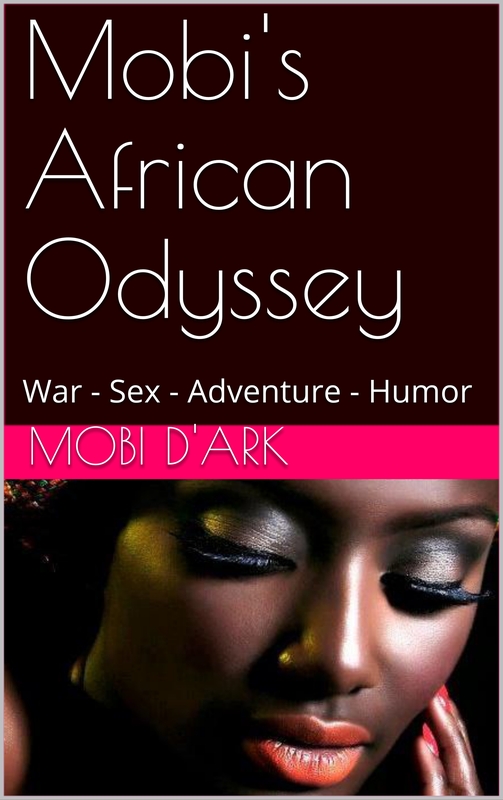 As you can see, Book Two in my six wives of Mobi D’Ark series is entitled ‘SUZY’, (wife ‘numero-dos’). So far, I have completed the plot outline for part one of the novel and I have written the first two chapters – some 3,500 words. Once I am satisfied that the opening chapters are flowing OK, I will start to publish the drafts in my blog. It’s going to be a long project, as I won’t have anywhere near the same amount of time to write SUZI than I did with AZZY. It’s probably wishful thinking to hope that SUZI might be completed by the end of the year, but who knows? Unfortunately, even at one book per year, I’m going to be 75 before I complete the whole series, and I’m not at all sure I will live that long. If it looks like a park, and the dogs will tell you it smells and tastes like a park, then it must be a park. I am referring to the large memorial grounds, spread over several acres which are laid to grass, with decorative flowerbeds, hedgerows and trees, which is less than five minutes’ drive from our home. It is located on the edge of the prestigious Siam Country Club Golf Course and for the past six months, we have been going there on most afternoons with the kids and dogs. It’s good exercise for all of us. The dogs go crazy and run and run until they are totally exhausted. I never knew that tiny dogs like Shih Tzus could run so fast – it really is quite astonishing to see how quickly they can run. The kids run, play and fight with each other, while Lek and I do our 30-minute traverse of the park’s circumference, trying desperately to keep track of the three dogs who all race off in different directions. Since we moved to our new little home, we have been attracting newcomers to join our daily walk in the park. At first, it was just the neighbour’s 8-year-old girl, who sometimes plays with Song, who started to join our two kids in the back of the pick-up. Then a small boy from down the road joined us, and since then it has sort of snowballed. Sometimes we have a truck load of kids and dogs when we drive out to the park. For the first few months, we had the whole park to ourselves. But I guess that a lot of people have seen us there when driving along the nearby road. These days, there can be two or three other people exercising their dogs either before or after we arrive with our own three mutts. This often creates mayhem as all the dogs chase each other, and we and the other owners have a right old time trying to extricate our pets from the doggie free-for-all. Somchai, one of our two Shih Tzus, is one of the worst offenders. He will literally run from one end of the park to the other to chase any dog he spots. It doesn’t matter how big the dog, Somchai is fearless. I was having a little lie in yesterday morning. Lek and the kids got up very early and went to the market to buy food. They returned just after 8 am and Lek came upstairs and lay down on the bed to chat with me for a few minutes. Then the dogs came up and they found their way onto my bed. Then Song came in and snuggled up to her mother. Finally, Neung, who is getting bigger every day, decided to join us – two adults, two kids and three dogs on one bed. It’s a wonder it didn’t collapse. Thinking about it, I have realised how lucky I am. I have lived such a debauched life for so many years – I really don’t even deserve to even be alive. So how is it that in my dotage I have so much affection and friendship around me? I may be poor, and struggling to make ends meet, but I have some things that money can never buy. Here’s a few pics that I took in the park yesterday afternoon. Some are a bit out of focus, but you can get the general idea.